Mike Ullery | Daily Call Construction crews continue work on the round about to be located at the intersection of Looney and Garbry Roads. The work is expected to be completed before the year ends. Construction crews continue work on the round about to be located at the intersection of Looney and Garbry Roads. The work is expected to be completed before the year ends. 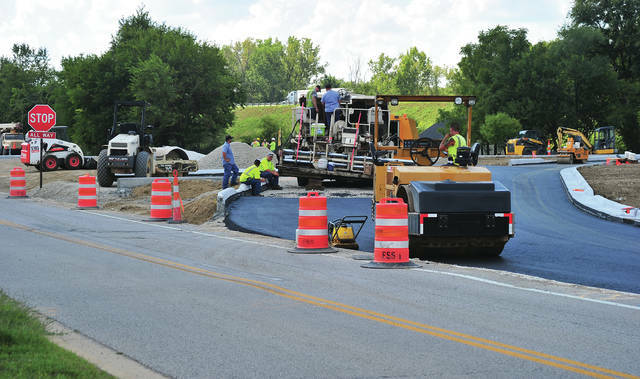 https://www.dailycall.com/wp-content/uploads/sites/30/2018/09/web1_090418mju_roundabout.jpgMike Ullery | Daily Call Construction crews continue work on the round about to be located at the intersection of Looney and Garbry Roads. The work is expected to be completed before the year ends.